Somerset Studio Gallery, winter 2011 issue. Page 95 shares my house shaped fabric page for a swap by Susie LaFond. 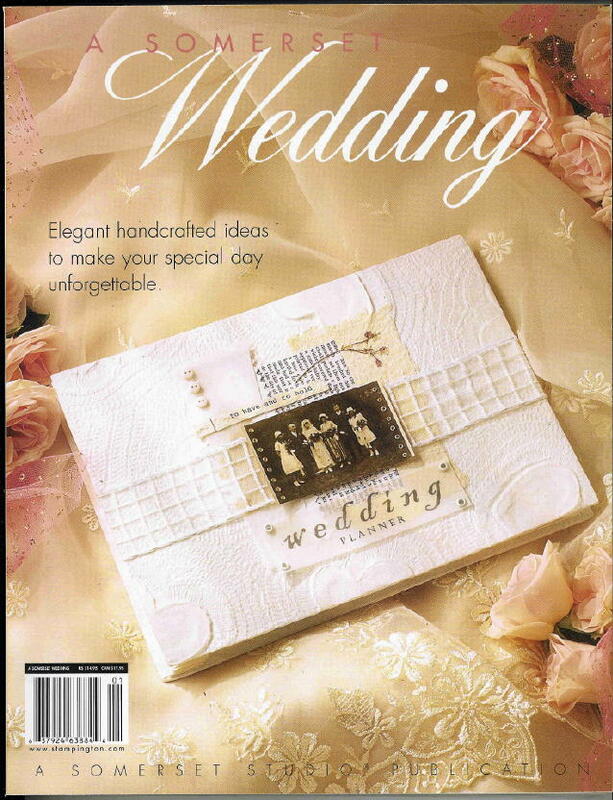 February 2011 issue of The Virtual Costumer magazine, my article on velvet stamping is published. 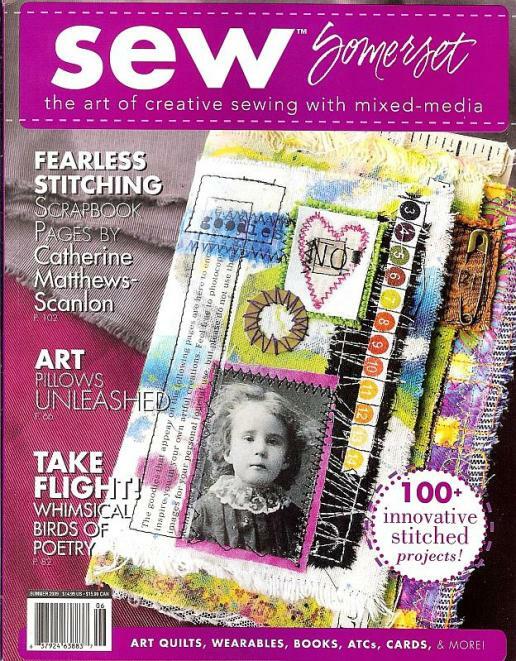 In Sew Somerset, Summer 2009 issue, my article on Journal Quilts is published on page 112. Four of my journal quilts are featured in the 2008 book, 1000 Artist Journal pages by Dawn DeVries Sokol. ARTitude Zine, Summer 2006. Steven and I collaborated on an article on gel medium, how to use it in your mixed media collages. My own hand carved design is featured on the front of Boundless Playgrounds 2006 HOLIDAY CARD. Over 10,000 cards sold! Transparent Art: October 2005. Page 174 - the 'Inspire' transparency necklace I created for Helga Strauss of ARTchix Studio. New Techniques for Wearable Art, by Ricë Freeman-Zachery, September 2004. My hand stamped and hand-painted silk scarf is on the front cover of this book! 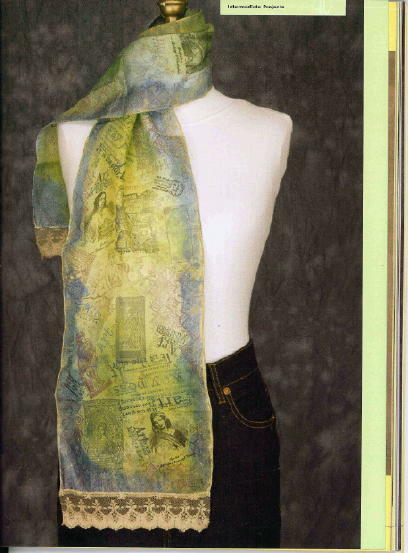 My instructions on creating your own silk scarf are found on pages 78-79, New Techniques for Wearable Art. The Art of Fabric Books: Innovative Ways to use Fabric in Scrapbooks, Altered Books & More, by Jan Bode Smiley, January 2005. Two fabric books I created are featured on pages 41, 85, 99, and on the back cover. This is the book for anyone interested in incorporating fabric into altered books, scrapbooks or journals, with lots of inspiration to create a stand-alone fabric book as well.